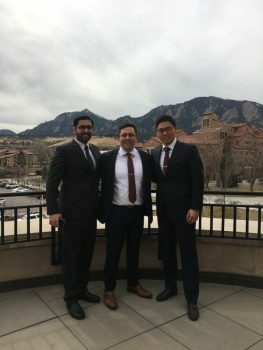 Last month I had the pleasure of participating in the Leeds School of Business Net Impact Case Competition: Whole Health and the Quest for Cultural Change: Acer Energy. This was an amazing experience. Never have I had such mixed emotions during a case competition. There were thrills, chills and cheers as our team competed for the top spot. It all started with myself, Simrat Kanwar, Sylvana Sbeinati and Boran Xue coming together and deciding to participate last fall. The format of the competition was different from many of the other competitions I have seen as it started with a virtual round. The first round had teams evaluate a case and present our findings by using the automatic functions within PowerPoint. No face to face presentations, just the judges and your recorded thoughts. If you did well, then you were accepted to the final round at the school. The focus of the case was instituting organizational cultural change in an oil & gas company in the United States by focusing on the mental health issues currently plaguing the company. Our goal was to increase awareness of mental health issues across the company, while improving safety and efficiency in the organization. We decided to take a visual approach to our presentation as we wanted the viewers to be immersed within the ideas. It was a bit of a gamble, but the payoff was big as we were one of only 15 teams across North America to be accepted.? Knowing that we were going up against the best schools across the United States really pushed us to the next level. The final round involved us spending two grueling weeks pouring over the new information provided. We decided to continue with the visual approach, but really focus on how we could change the culture of the organization. After cementing our ideas, we boarded the plane and travelled to Boulder. We landed Friday night and prepared for the presentation on Saturday. We drew to present last! Going in front of the judges was nerve racking, but we were confident. The presentation went great and the judges had some tough questions. Once we were done, lunch was served and we waited for the decisions on which top 5 teams made it to the championship round. Unfortunately, we did not make it to the championship round but had such a great experience that it didn’t matter. Leeds and their Net Impact Team did such an amazing job! They were so welcoming and executed an amazing weekend. They ensured we got outside of the campus (which was beautiful) and made us see what Boulder was all about. 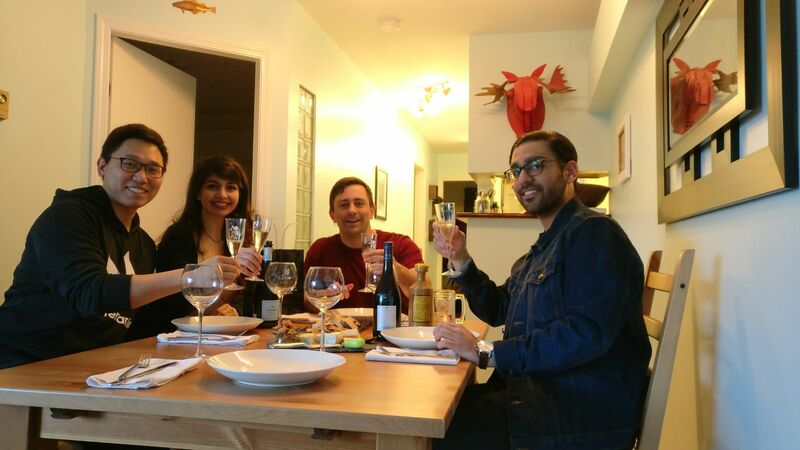 During the festivities we got to meet a diverse cohort of like-minded MBA students. Even though we did not win, it was a great experience. After all it’s about the journey of life, not the destination! Evan is currently completing his MBA at the Beedie School of Business and the operations manager of the SFU Beedie Net Impact Competition. 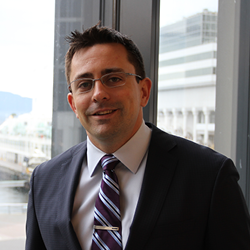 He has participated in multiple case competitions including: the BC MBA Games, National MBA Games and is the current champion of the Vancouver Acumen – Catalyst Case Challenge. Prior to SFU Evan completed his undergraduate degree at the University of Guelph with a Bachelor of Commerce in Tourism Management and worked in various progressive leadership roles in the Hospitality Industry.